ACTA CND, an ISO 9001 certified Company, has been for over 40 years your choice partner for eddy current and combined eddy current + ultrasonics industrial testing. Today, by its adaptability and its range of high tech equipment, ACTA is your # 1 partner to help you reach the highest quality standards. 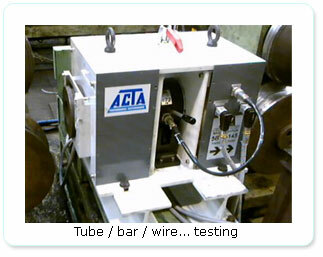 Eddy current testing of all metallic products such as tubes, bars, wires, profiles, on or off production line. 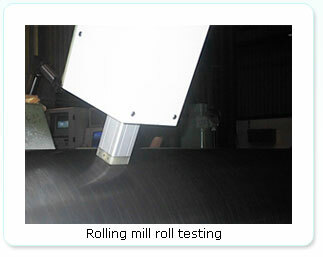 Eddy current testing of rolling mill rolls. Eddy current and ultrasonic testing of rolling mill rolls.